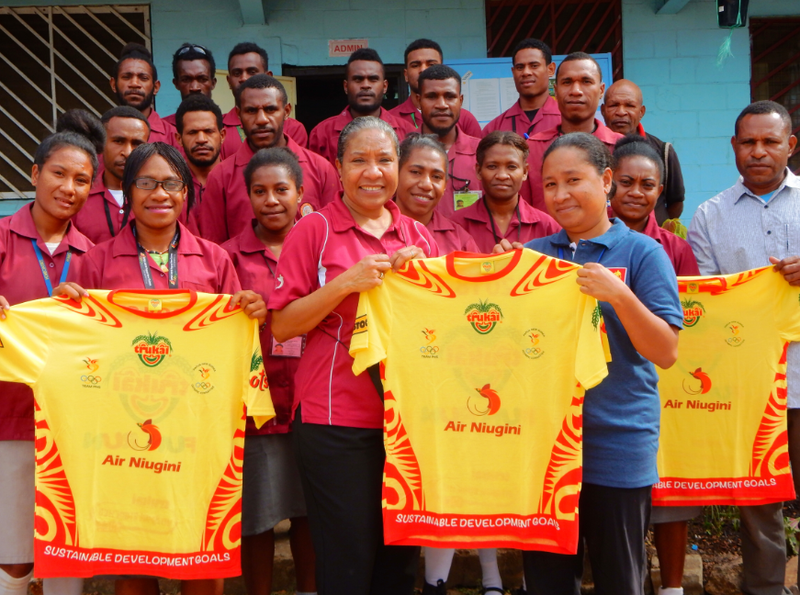 Air Niugini yesterday (Thursday 15th June) presented 2018 Fun Run T-shirts to three schools at the 6 Mile and Erima suburbs in the nation’s capital as part of the airline’s ongoing support towards the Papua New Guinea Sports Federation’s major annual fundraising event – the Trukai Fun Run. The airline’s Marketing Manager, Ms Nori Maniana said it’s also part of ANG’s community service obligation to be engaged with communities, adding that the three schools – Holy Rosary Catholic Primary School, St Peters Primary School and Maino Heduru Vocational School – were chosen due to their proximity to the airline’s area of operation. Ms Maniana added that whilst education is important, children’s participation in some form of recreational activity is also good for their physical and mental well-being and that the fun run was one such activity they can participate in. “It’s important to stay healthy and alert at school and home, therefore participation in physical activities like walking is good for all of us.“ Ms Maniana said. The Trukai Fun Run is a major fundraiser of the PNG Olympic Federation of which, Air Niugini is a Platinum Sponsor of. The Trukai Fun Run in Port Moresby this year will be held on Sunday 24th, June.